The indoor environment is characterized by a dynamic nature in particular from various emission sources contributing with volatile organic compounds. 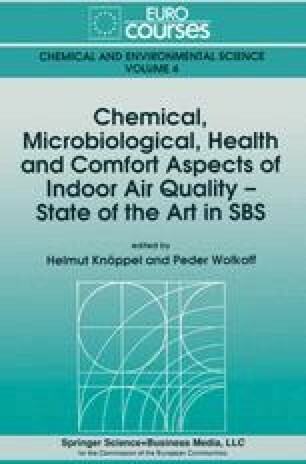 An under-standing and consideration of all potential indoor pollution sources, their emission characteristics, and the interrelationship of various indoor air quality parameters are prerequisite for the design and development of a sampling strategy. This includes parameters like the time of sampling, sampling duration and frequency, and selection of the sampling location. The field measurements of various studies show the importance of considering time as well as on a long-term as on a short-term basis.